Are you that landscape photographer who rolls out of their car, sets-up a shot and clicks away without moving around much? The extreme of this is the photographer who literally goes that extra mile to find the best images? I think I fall somewhere in the middle. Up until very recently, I would have dismissed and possibly even criticized the first photographer as being a little lazy sod. Hindsight is a wonderful thing. I now realize that there are other factors I have over looked in the past. This article will explain how keeping yourself healthy might help your photography! I’ve always considered myself moderately healthy – not slim but fit enough to get where I need to be. I generally keep a moderate level of fitness through a little running, swimming and walking. 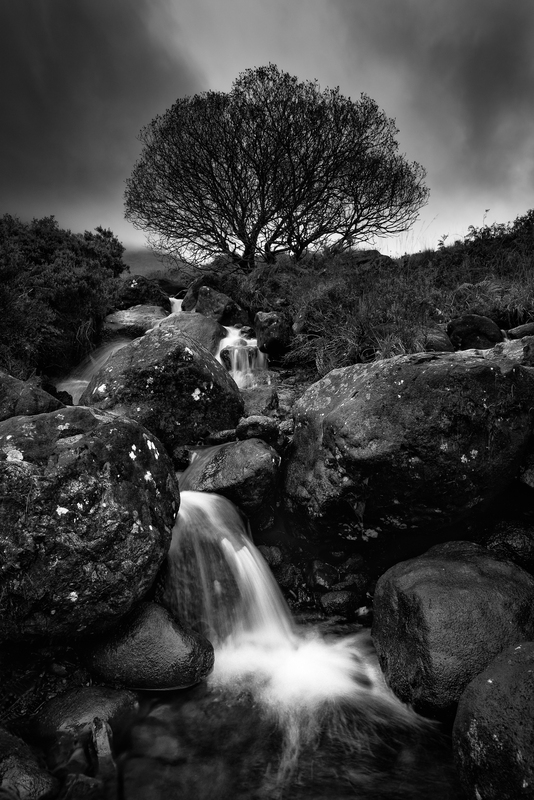 Thanks to this, I am able to access most area’s I wish to photograph in Ireland. It does not always look graceful, but I get there. To be fair, most locations in Ireland can be reached fairly easily unless you include some of the Irish mountains. By European standards these are really only hills. A recent trip to the Isle of Skye in Scotland challenged me a little more than usual. I climbed the Old Man of Storr without a successful image – low cloud and driving rain put an end to my cunning plans. I promised myself I’d return over the next few days if the weather allowed. Unfortunately, mother nature chose not to co-operate with me. At the time of the climb, I felt physically fine but I could still feel the effects of the climb on my legs a couple of days later. This was the tell-tale sign my body needs a little more physical activity. Even if the weather had played ball, I don’t think I’d have managed the climb two days in a row. I’m not going to advise people to start running 10 miles a day so you can hike huge mountains or even to eat the latest trendy superfoods. Moderate & regular walking should be fine for most situations. But there is another more serious aspect I have started to consider – longevity. The recent trip away was extremely tiring. I was on the go non-stop from dawn till dusk. When I should have been enjoying a couple of drinks at night, I found myself having to go to bed early. 3 days after the trip, I was still very tired. It has left me with a few questions. Questions I already know the answer to & answers I don’t like very much….. Looking after my fitness levels is something I now need to take as seriously as my photography. Creating landscape & seascape images is what I love doing and want to continue doing for years to come. Getting outdoors early in the morning & experiencing conditions other people miss as they sleep has enriched my life beyond words. I feel fully alive after a morning shoot regardless of the weather. It is hard to explain effectively. I’m sure each and every one of us have our own reasons for our love of landscape photography. Before this trip, I always assumed I’d still be enjoying this into at least my 70’s. That’s roughly another 35+ years. Lots of time to develop and improve, see places I have never visited and develop a unique style of my own. I have now come to realize that if I don’t look after my fitness now, I may loose it. This could leave me unable to reach the locations I want to make images from in the future. Possibly even within 10 years never mind another 30. Fitness is only one aspect – what about health? Once your health is gone, it’s very difficult to get back. The Kelly Curse hit me recently with a bang – a real dose of reality and a look into what could be the short term future. My father had dangerously high cholesterol which was inherited from his father who died very young from a sudden heart attack. After years of nagging from my mother, I finally agreed to have a Cholesterol test. It turns out I’ve also inherited this trait with a severely high cholesterol level for my age. Hopefully, 4 months of strict diet may naturally alleviate this, otherwise it means lifelong mediation. Time will tell. Either way, I have now reached a point in my life where the food I eat and the exercise I take are becoming more important than ever before. I want to last that 30+ years even if not for photography. Lucky I’ve caught it early enough to take action and start looking after myself. I won’t be talking my health & fitness for granted any longer. Hopefully this will allow me continue getting where I want to go and take those images I want to take for many years to come. I don’t want to be forced to become that photographer I asked about at the beginning of this article – the guy who cannot venture far from his car due to the loss of his fitness or health. 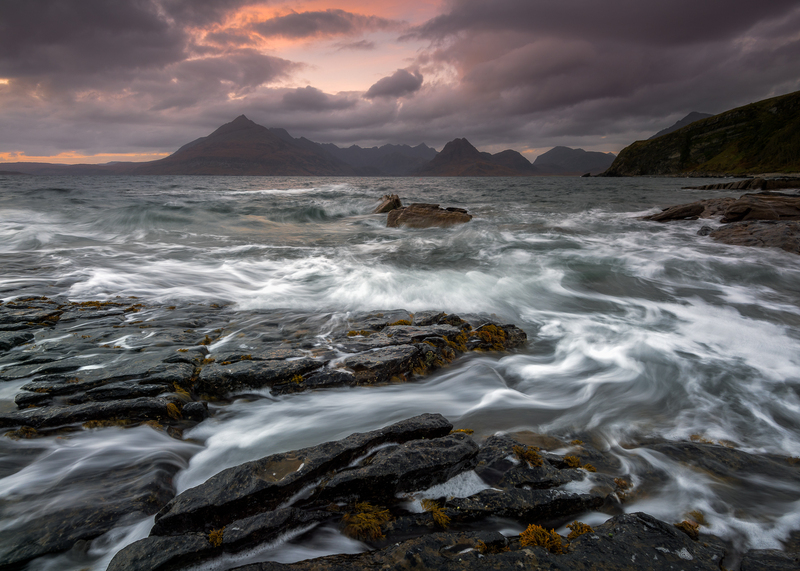 The end of a beautiful day at Elgol beach on the Isle of Skye. With little to no wind, the waves lapped in gently and then receded slowly back down the rocky plateau in front of me. A slow shutter speed helped capture a sense of movement as the water moved back.